Have you ever met a kid who isn’t at least a little bit thrilled by the prospect of going faster? Children love to race around, be it by foot, in their ride-along cars, or by bike. If you have a child who’s getting serious about speedy adventures, you’re probably on the prowl for the proper equipment to make their motocross experience fun and safe. We know it can be hard sorting out what all you’ll need. To begin with, we suggest rounding out your resources with a helmet, gloves, goggles, knees/elbow guards, and a vest. Proper boots and a neck brace might be a good idea down the line, but while they’re getting started and deciding how seriously they take their dirt biking, these products are guaranteed to give them the most comfortable and secure ride a kid (or parent!) can ask for! We have reviewed each of the items on this page and created a list with the best gear for kids that are riding motocross and dirt bikes from the current marketplace. Each product has an updated status and the criteria sections have also been upgraded. Kids safety is the number one priority of every parent. This page has been updated with the latest models of Dirtbike & Motocross Gear for kids that satisfy all safety standards for a carefree riding experience. Protect their eyes from dust and debris, and let them make a patriotic or stylistic statement all in one move. These goggles come with lenses that protect from wind, debris, UV rays, and fog, and are durable enough to survive the trails taken by your child. They are also useful across sports lines, doubling as skiing or snowboarding goggles for your child in the winter. These goggles will keep bugs and debris out your child’s eyes while they ride or slide, and there are several variants in color and style. The adjustable straps will help the goggles’ fit your kid for the longest possible time, and the durable design will help them last as well. These goggles are flexible and tough, with several style options and a one-size-fits-all design that will keep them fitting for the longest possible time. Get the basics of off-road protection for your child, all in one simple purchase: this set comes with a matching helmet, goggles, and gloves. The helmet is well-cushioned and comes with a lifting visor for better vision while at rest, and the goggles provide UV protection and are very flexible, making them very durable. The set also comes in Small, Medium, or Large, making it available to small children and youths as well. Get the best protection for your child at the best bargain with this set. Help protect their head, hands, and eyes with these items, and give them their own choice of color. This set also comes with a helmet bag, making it easy to keep up with and transport from the home to the arena! This product covers a few bases at once, giving you the chance to go out and get dirty with your kid and give them the sort of protection necessary for outdoor fun. The TCMT Youth Set features lightweight, durable pieces all finished with UV protection. They’re made to be breathable and well ventilated, though they’re useful in all seasons and weather. The sleek design will have your little rider looking like a pro, wherever they go. This set is available in six different patterns, ranging from skulls to flames, to butterflies, to Spiderman. The helmets, gloves, and goggles are all available in vivid colors so you can see your child even from a distance. Removable and washable padding makes maintenance and cleaning a breeze. The DOT-certified gear has been guaranteed to meet safety standards by the Department of Transportation. The helmets run a little small, so order up if your child is falling in the last few inches of a size bracket. A handy guide is available on the page to help you determine the approximate measurements you’ll need to take. This helmet is comfortable and lightweight so as not to cause poor posture, but sturdy enough to withstand collisions and protect that precious little noggin. The gloves will keep them from friction burns and cuts, and the goggles will protect their eyes from any flying debris, as well as helping them see clearly while they ride. This little set has it all. It’s great as a starter kit, as it takes care of about half the gear that you’ll need, and while it’s safe and durable, it isn’t too expensive, so you aren’t wasting significant amounts of money on gear that your child might only use a few times before they get bored or outgrow it. When it comes to keeping the vitals covered, a good chest and spine protector is every bit as important as a snug-fitting helmet. Your kid is going to fall, going to fail, going to struggle, and your job is to keep them as safe as possible for the duration. The Webetop chest and spine protector make falling and failing a much safer part of the learning process for your young adventurer. This piece will protect your child from rib or spine injuries, as well as providing a protective shell for their organs. We all worry about our children, but armor like this helps to make the worry bearable while you watch your own child make their own way in the world. This product helps protect some of the most important parts of your child, helping you to give them the freedom to explore with less worry. Whether your rider is just starting their motocross journey or already a seasoned pro, the XFMT Offroad Bike Helmet is a great option to set them up for success. The set comes with a green, flame-decaled helmet, a helmet bag, and matching gloves and goggles. The helmet is ventilated and heavily padded for impact, and the UV protective shell ensures that the sun won’t wear out your product too quickly. The chin strap is a D-Ring, which can be a little tricky, but helps keep the helmet securely in place. There are three different sizes available, with a handy measurements chart, so be sure to double check that you order the right size. Ventilated and properly-padded, this helmet is a steady, durable option as far as safety goes. The design is fun and cool as well, and the matching goggles and gloves offer additional protection without needing to purchase outside products. The set is durable and strong, but also just plain convenient. Multiple, quality pieces in just one order? Yes, please. This product is designed to help you introduce your child to the world of Dirt Bike and ATV adventure. With smaller sizes for children aged 3-5, this chest piece is a perfect part of your child’s first protective kit. Protect their ribs, shoulders, chest, and organs with this sturdy Fox product, and get them on the trail with you! This chest piece will keep your kid’s body safe, pure and simple. Let them explore and seek adventure with peace of mind, Fox will protect them when you can’t. This product is the perfect first body-protective piece for your child. Take them out on the trail, and leave some portion of the worry behind when you do. With all the trauma that can be inflicted on the chest and shoulders during a fall, the bigger risk lies with the damage done to the organs underneath. When your child gets out on the trail, a solid-body chest piece can make all the difference in more dangerous falls. With high-impact foam for an inner lining and a hard outer shell composed of high-density Polyethylene, you can breathe easier out on the trail. The solid design of this product makes it a superior outer-shell for your child’s protective equipment. Though this product is specifically focused on the chest and torso, it can’t be ignored as an invaluable form of insurance for their most important parts. When it comes to protection during falls, it is hard to beat the solid barrier that this product provides. Keep your kid safe during those inevitable tumbles along the way. When planning for the trail, it easy to forget just how invasive and annoying dust and debris can become. Not only your eyes, but your nose and mouth are exposed to the elements, riddling long-distance runs with bugs-in-the-teeth and sinuses overloaded with dust. This mask provides extra protection for the face under the helmet, helping your child keep up on any adventure. This piece is designed to augment the helmet, adding additional facial protection for your child from cuts, scrapes, dust, and bugs. Keep your kid’s mind on the road, cutting out some of the inconveniences and distractions of outdoor play. This detachable, light face mask is perfect for your child and the road. This product adds additional protection for your child while undertaking outdoor excursions. Protect their face, and not only their cranium with this perfect piece. A genuine youth helmet, this piece is lightweight but sturdy, weighing in at less than three pounds. It isn’t overly padded but will provide comfortable protection for your little one. The set includes gloves and goggles as well, all in a cool red Spiderman pattern. The goggles feature an anti-scratch lens with anti-fog coating, so they can be worn year-round. A urethane frame and plush face foam make these light and comfortable. The gloves are breathable, made from synthetic leather, with stylish padding and a pre-curved design that won’t leave your child’s range of motion stifled. All equipment is certified to meet the DOT safety standards, and the helmet features removable padding to make washing and hygiene hassle-free. These goggles are resistant to fog, scratches, and impact, making them a handy pair to have around, given how precious and how delicate our eyes are. The helmet is likewise comfortable but strong, and the gloves are designed to be easy to move in. The seller has stated that the gloves automatically are packaged according to helmet size, but they’re happy to provide a different size. Just include in a message to them with your order what size gloves you’ll need. Given that each body is unique, we appreciate a company that is willing to cater to that without making you buy separate pieces. You’ve got a fireball of a girl: she’s fierce and formidable and ever-seeking to conquer the limitations of the world around her. You have to protect her, but you also have to give her the freedom to explore for herself. GLX goes out of their way to provide you a sense of comfort as concerns your daughter, offering her an opportunity to break through those expectations and limitations. Provide Head, face, and hand protection to your daughter across multiple sporting platforms. Let her find her own way through challenges without putting her in the way of danger. The awesome colors and it being DOT approved is what grabbed our attention. Whenever you pass a construction site, you might be more surprised to see a worker without a helmet on than you would be if you saw a worker without a shirt on. Head protection in the workplace is mandatory as well as obvious in its necessity. A serious blow to your head will not only render you unconscious, but it can also make you nauseous and dizzy for an extended period of time and cause short-term memory loss. And then there are the even more serious long-term effects like the tendency towards depression and memory issues. Head protection isn’t an option in the workplace, and it shouldn’t be an option in recreational activities for your children. As obvious as it seems, putting on helmets and other protective gear can be easily forgotten or brushed off in the excitement of getting to ride, and the repercussions of not wearing a helmet are far greater than any parent wants to deal with. Helmets not only protect your child from falls, but they also deflect rocks and debris that get tossed up when riding off-road. Giving them the added benefit of the shin and spinal protectors, gloves, goggles, and boots will put you more at ease with the rougher aspects of ATV recreation, while also giving your kid a chance at personal expression with all the bright and vibrant colors available for protective gear these days. There is no sure thing when it comes to off-road riding and racing, but provide yourself with professional grade protective gear and you’ll provide yourself with some sense of comfort as you hit the dirt with your kids. As your child develops physically and mentally, they begin to develop an important personal identity for themselves: an image of what they wish to surface from their interests and tastes. While protection is clearly the most important aspect of these pieces of equipment, it is also important to give your growing child the chance to choose their own look. The development of their own self-definition will help to build their self-esteem and confidence up for the world waiting for them beyond your protection. This relationship between your child and their own image of themselves is very important, if not often discussed. The items in this list are designed to help garner your young adventurer’s sense of self as well as protecting their limbs and organs! There is only so much control that we can achieve over the world around us: risk is always present and always a competitor with your sense of preparation. It’s the same when it comes to introducing your own child to the world, and the explosion of imagination and energy that your child will produce will keep them pressing at the threshold of what is safe. With equipment like the products presented here, give yourself the satisfaction of defeating risk wherever possible while still allowing your young adventurer the freedom they need to learn how to defeat risk and danger themselves. Q: How do I size these items out? A: Most of these items come with sizing charts or instructions, while other items are designed to be one-size-fits-all. We’ve also included a sizing guide with instructions in our sources. Q: Can my child wear their glasses under these goggles? A: Yes, the goggles are designed with enough space for glasses underneath. Some reviewers suggest putting the glasses into the goggles and then putting them onto your child’s face together. Q: Can I use this gear? A: If it fits! Some of these products are actually adult products that come with small enough sizes to fit your child, so they are professional grade at any size. Q: Are these goggles fog-proof? A: It varies to some degree, but most of these goggles are designed to be somewhat resistant to fogging or clouding. Q: How long can my child use these products? A: Some products, like gloves and goggles, are somewhat adjustable because they employ elastic or velcro straps, but are not as size specific to your child. This makes them a bit tougher to fit, but they will work for your child for an extended period of time. 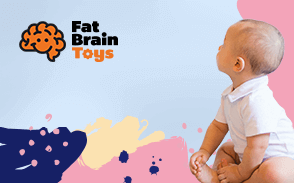 Other products, like the helmets themselves, need to fit as snug as is possible and will probably need to be replaced every year or so until your child’s growth levels off. Q: Are the helmets on the list DOT approved? A: Yes. All the helmets on the list are safe and DOT approved.